But, some of them forget that traditional direct-response copy skills are still working in today’s content boom. Take for instance, writing conversationally. This popular advice is accepted as one of the best ways to get better conversions. Since other humans are your source of leads and sales. 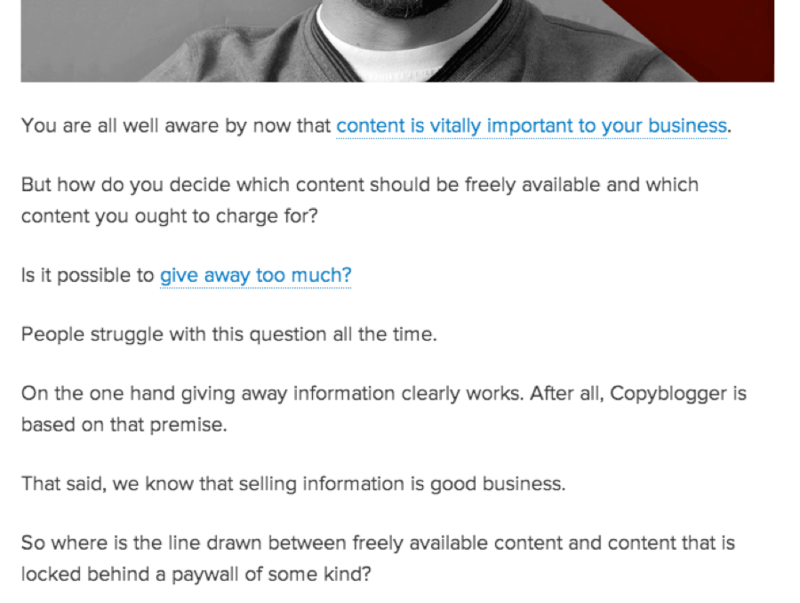 The more you can connect with them – by writing conversationally – the more effective your content and copy will be. 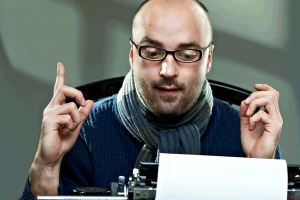 “Your prospect won’t read your writing if it’s too hard to read. He has far too much going on to struggle over your words. 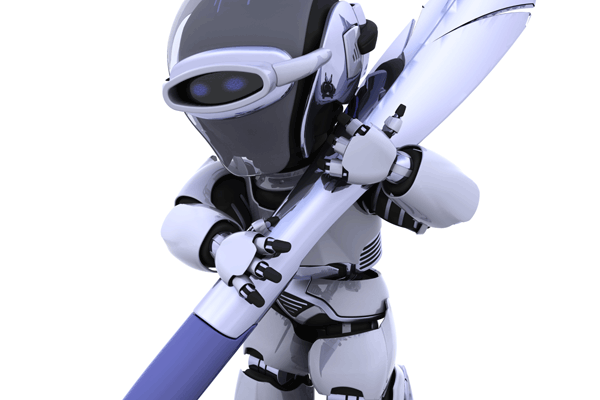 Your writing must be an open door leading your reader into your ideas,” Will Newman, Freelance Copywriter, said. Newman went on to point out that writing conversationally doesn’t mean that you “dumb down” your content. So, how can you learn to write conversationally? 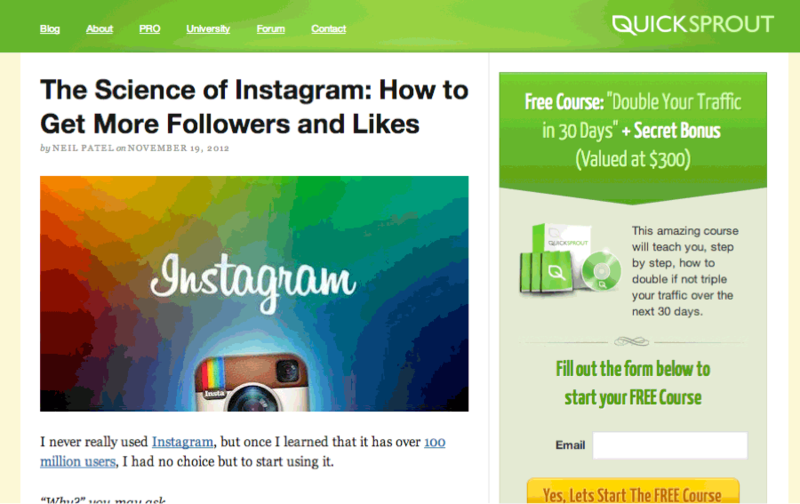 The more you know about your audience, the better your conversation (i.e. writing) will go. Know what words your readers use, listen to them talk to their friends (forums are great places for this), and really get to know them. Then, when you’re writing content, imagine that you’re talking directly to ONE of your readers. Unfortunately sometimes clever doesn’t come across in our writing. Maybe the reader didn’t understand the joke or stopped reading before they got to the punch line. Either way, the copy didn’t work. Instead, be straightforward. Your writing should be like a letter to a friend, not a textbook or legal document. Feel free to use slang (as long as your reader will understand it). Use contractions like you’re and you’ll. Occasionally start a sentence with the word “and.” All of this will make your copy conversational and engage your reader. When you’re finished writing content, be sure to read it out loud. If anything sounds awkward, reword it. Also, if a sentence takes more than one breath to read it out loud, it’s too long. Try chopping it into two or more sentences. Writing conversationally doesn’t come easy. Which is funny to say considering that humans average 16,000 words in a day. “Readability” is basically the measure of whether or not your writing sounds natural and conversational. Luckily a tool called, “The Flesch-Kincaid (FK) scale” makes it easy to gauge your readability. While the FK tool gives us several scores, we’re going to use the easiest to understand: the FK Grade Level. Aim to write content that is between 5th and 8th grade levels. Remember the goal is not to dumb down your content. 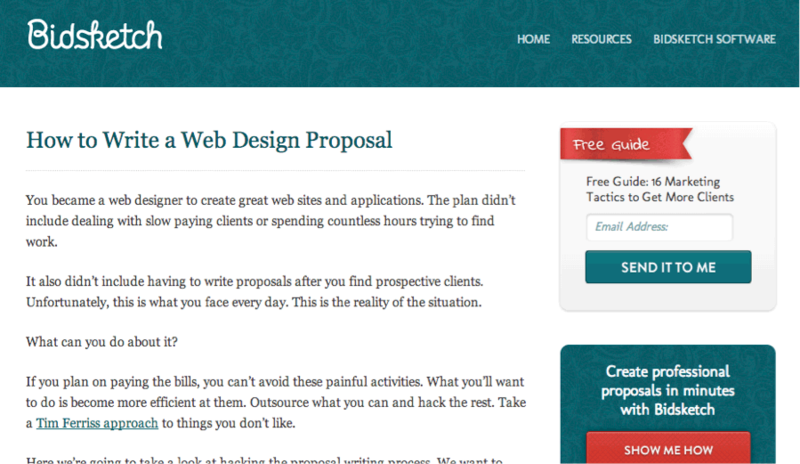 Instead, we want you content to be easy and natural to read. In the bottom right corner you can see the FK Grade Level score. It’s 11.1 and too high for optimal readability. Just by replacing a few complex words and shortening a couple sentences, we were able to reduce the FK Grade Level to 7.6! 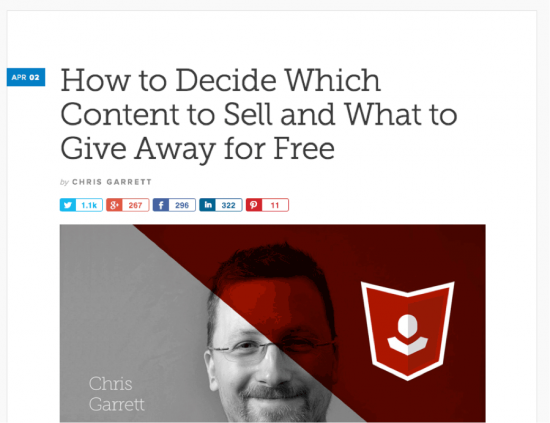 The above article, “How to Decide Which Content to Sell and What to Give Away for Free,” got a 7.1 on the FK scale. Why not perform a readability test on your most popular blog post? Just go to Readability-Score.com. 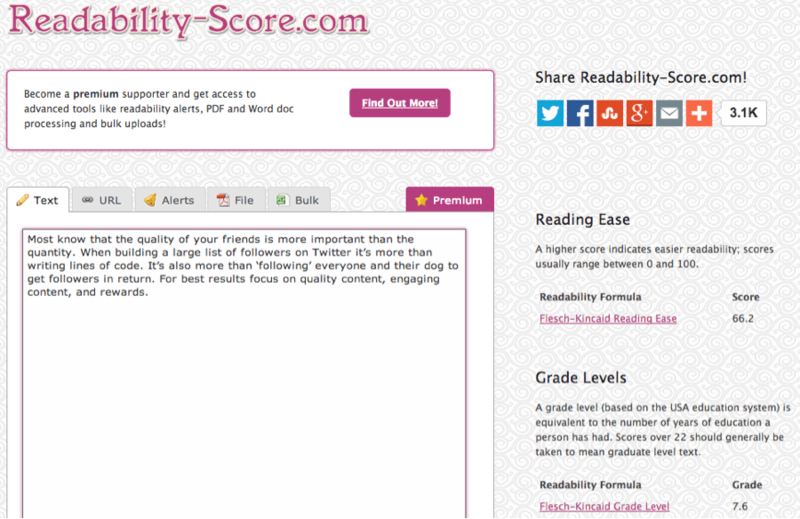 If your find out that the article’s FK Grade Level is too high, use the tips above to reduce it. You could also republish it to measure it’s effectiveness. Let us know how it goes in the comments below. Writing conversationally is just one piece of the content puzzle. Depending on your content goals you must also learn about things like persuasive writing and sales copy. Previous Night Owls Versus Early Birds: Where Do You Stand?